Last week was grand. The presentations, the location, the food, the guest speakers, the bands (Spandau Ballet and Lou Gramm of Foreigner, etc. ); all of it was riveting, fast paced, and a little bit surreal. But as IFS employees and customers alike left Boston and braced for the letdown that naturally comes off the high from an exciting week, I thought about the messages that had been delivered during the World Conference, and how we can help organizations apply those for continued success. 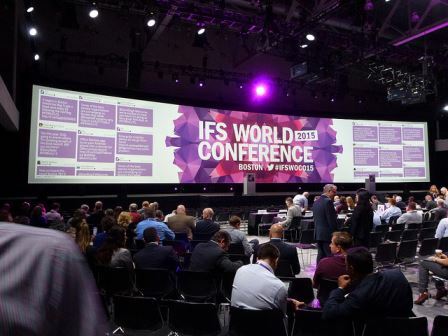 IFS World Conference 2015 kicked off with an exciting main stage presentation by ISF CEO Alastair Sorbie and some big announcements. British moderator Jon Briggs (the UK voice of Siri) started the conference with a short video that helped put in perspective how fast the world really is changing, especially technologically. Watch the video to learn some fun information like the fact that in ten years 40 percent of Fortune 500 companies will no longer be here. Alastair talked about how successful organizations are who use disruptive technology to power them forward for a competitive edge. 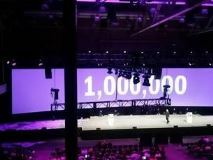 An overarching theme of adaptability to change resounded throughout the conference and Alastair went on to announce the availability of IFS Applications 9, one million IFS users, and global availability of IFS Managed Cloud on Microsoft Azure. Then the IFS product team debuted some of the cool, new, flexible features of IFS Applications 9, including IFS Lobby (a new “project lobby” UI with drill-downs for more detailed information), focusing on the fact that IFS 9 has a renewed focus on collaboration and mobility and a slick UX too. The IFS WoCo Enterprise Service Management tracks started out with an overview of what is happening in ESM, featuring myself and Senior Product Advisor Stephen Jeff-Watts. We talked about IFS’s three powerful service solutions that provide organizations with true end-to-end optimized service delivery before discussing challenges service organizations face and trends they should embrace. I advised service organizations to use a business model similar to Uber’s for a competitive edge (possible with IFS’s field service automation software); suggesting that uber-izing your service business provides trust, security and reliability to customers as well as transparency from the top level down. I also suggested that service organizations take an OPEN approach to IoT in field service; opportunistic, progressive, efficient, and networked, knowing it will be a game-changer in field service. Read the live blog from the session for more details. As the conference continued, IFS Enterprise Service Management customers took the stage to share their field service stories, their challenges, their success with IFS service solutions, and lessons learned. Eickhoff, a world-class manufacturer and servicer of mining equipment and an IFS Field Service Management customer based out of Germany, talked about the high cost of downtime in their industry (20,000 tons of coal per hour). They chose IFS because it’s an adaptable global solution without huge implementation headaches. Auto Windscreens (the UK’s leading fleet automotive glazing company) talked about how IFS Field Service Management and Mobile Workforce Management helps ensure their field technicians follow the correct processes and collect the right information from first contact, leading them to receive recognition as #1 in customer satisfaction for their industry in the UK. Adrian Egley from Auto Windscreens also spoke to the fact that customizing IFS Field Service Management to fit their business process took days rather than the months it would have done in their old system (Oracle). NG Bailey and Loram discussed their service management journeys to a packed room. NG Bailey, a multi-divisional, diverse organization faced challenges that come with large organic growth over a number of years. They chose IFS to help them consolidate their systems and give them a platform for further growth. Sysmex, a leading medical device organization, spoke to how IFS Field Service Management’s robust reverse logistics module helped them to automate and streamline complex returns processes, while maintaining strict HIPPA compliance and other health regulations. Lastly, Orbotech talked about their customer service challenges and how IFS Field Service Management helped them address their biggest field service issues. Olga Rahimi of Orbotech advised companies looking to implement IFS Field Service Management that their secrets to success included applying reporting early on in the process, focusing on BI for leader overview, and ensuring that comprehensive user training was conducted. Enterprise Service Management also announced some big news at the event. 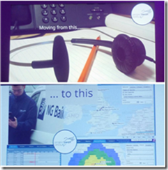 On Wednesday of last week it was announced that all three of IFS’s service solutions under the Enterprise Service Management umbrella had updated features and functionality that support our vision: an enhanced focus on the cloud, a global presence with a localized focus, enhancing our position as a strategic marker leader, and executing on a level that achieves customer delight. Addressing customer service vigilantly is vital to a service organization’s success. Let your consumers drive the trends you adopt to ensure better return on investment. Flexibility and usability matter, especially in a consistently changing environment. Monolithic legacy systems can no longer keep up with the changing market and customer demand. Those organizations that don’t adapt will be replaced. You can find out more about how IFS Enterprise Service Management can help you in this short overview video. 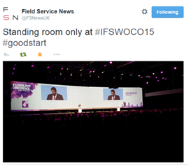 We hope we get to see you at next year’s IFS World Conference in Gothenburg, Sweden! Until then, may agility be with you. 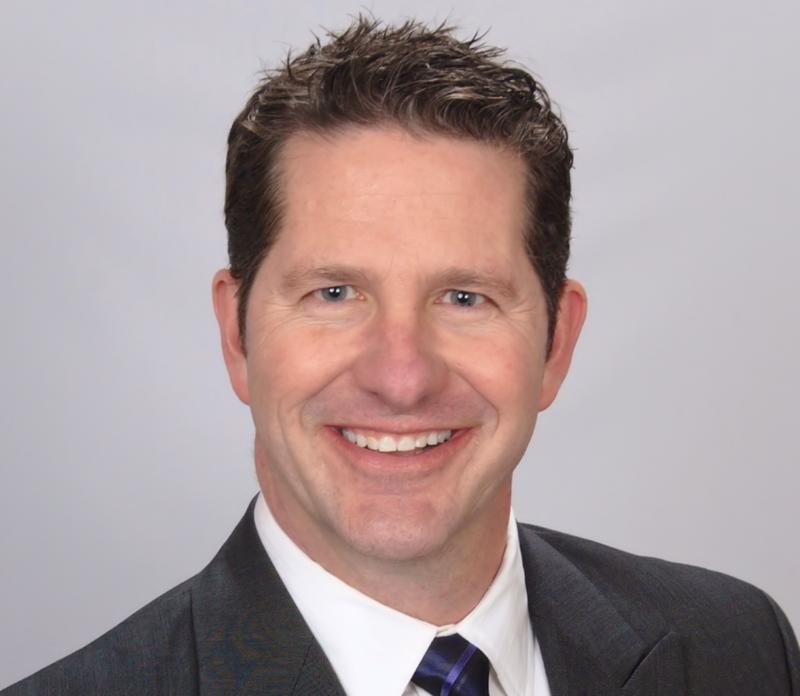 Tom Bowe is the former Industry Director for Enterprise Service Management at IFS.